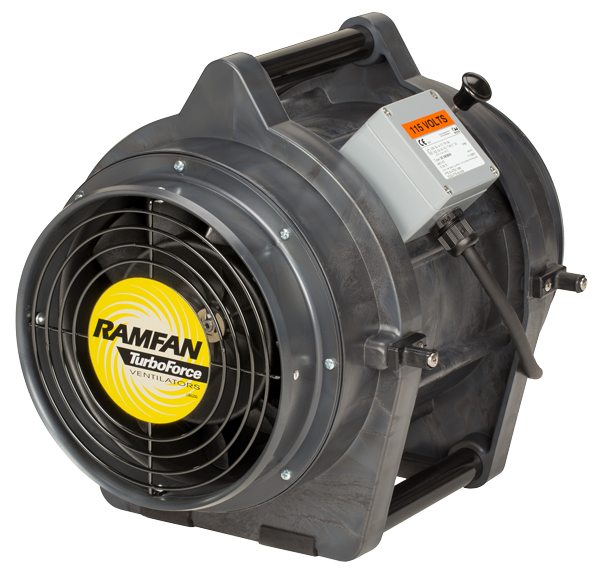 The UB20XX (8”/200mm) is a flame proof (Ex d) ventilator that is compact and easy to use. 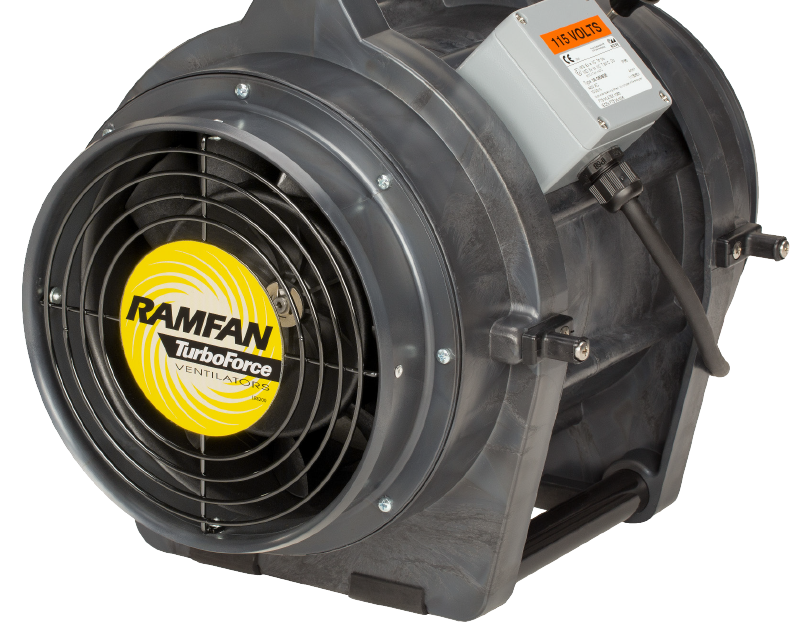 It features a totally enclosed motor, and an ABS anti-static chemical resistant casing. Certified for use in Group IIB, Zone 1, T6, hazardous atmospheres. Flame retardant and chemical resistant ABS anti-static casing. Comes with integral thermal overload protection to prevent damage from overheating. Designed to be compact and light, making storage and transportation simple. Includes two integrated duct adapters and a handy 7.6m long power cable for convenience. IECEx UL certificate number 13.0062X. Quick-Couple™ Canister, M.E.DTM (manhole Entry Device), Anti-Static Duct, Duct Carry Bags.